Jay G. Snyder - Snyder Nationwide Real Estate, Inc. In 1985, Jay G. Snyder joined with industry veteran hotel broker, Orville W. Krieger, to form Krieger & Snyder Nationwide Real Estate, Inc. 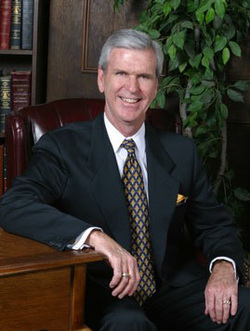 Upon Mr. Krieger’s retirement in 2002, Jay formed Snyder Nationwide Real Estate, Inc. located in Scottsdale, AZ. In addition to Jay’s involvement in real estate, he has had an extensive background in sales and marketing paving the way for the transition to brokering hotels and resorts throughout the United States. Jay is credited with many complicated transactions involving complex tax and legal issues while dealing with delicate family and ownership structures. Under his guidance, the firm shifted to more resort-oriented hotels along with more upscale hospitality properties. He has pioneered the brokerage of non-branded Luxury, Boutique hotels and resorts. His commitment to highly personalized service while only taking those assignments that can be adequately handled at any one given time has resulted in a high percentage of closings for those he represents. Many of SNRE's transactions have been those where Jay has added value by creating a repositioning of the asset and finding the buyer who can best perform the transition to most fully maximize the value of the existing operation with its future earnings potential.